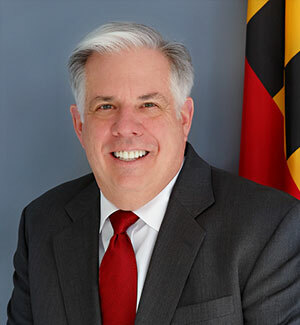 Maryland Governor Larry Hogan spiked long-standing plans for the Baltimore Red Line because, he said, it cost too much. According to Hogan, he’s saving taxpayers money by diverting Red Line funds to road projects. But Ben Ross at Greater Greater Washington reports that, when it comes to return on investment, the governor’s claim doesn’t add up. The two-lane road only backs up on summer weekends when people drive to the beach. According to Google maps, the average traffic delay on summer Friday and Sunday afternoons varies from zero to six minutes. By a generous estimate, this adds up to 60,000 hours lost each year in traffic backups, making the construction cost $3,400 per annual hour saved. Building the Purple Line will cost $288 per annual hour of rider benefits, and the number for the Red Line is $456. The amount of money the state is spending to save a minute of travel time on Route 404 is seven and a half times greater than the amount it refused to spend to save a minute of travel time in Baltimore. That means a Baltimore bus rider will wait an hour so that an auto passenger can get to the beach eight minutes faster. Officials claim the road widening will improve safety, but Ross says crash data doesn’t bear that out. And if Hogan is looking to save lives, Ross notes, he would allocate Red Line funds for pedestrian safety measures around the state. Elsewhere on the Network today: The press is paying attention to BikeWalkLee campaigns for sidewalks and bike lanes, and Streets.mn has snappy answers to stupid anti-bike arguments.